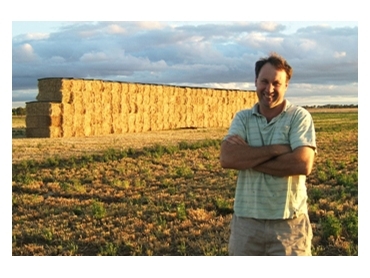 Hay Caps are a simple and safe way to cover large bale stacks of hay. They are manufactured from waste plastic which is converted into an affordable, practical and durable product. These hay covers are reusable, simple to use, and applied at ground level in less than a minute. The covered bales are then placed at the top of the stack as the customer builds it. They are made from 3mm thick food grade recycled plastic which is flexible, durable and said to last approximately 10 years. Hay Cap can also be used after the stack is built, or with big bale stackers, still without leaving the ground.